I had the great pleasure of being on the faculty of Highlights Foundation's Whole Novel Narrative Nonfiction Workshop, along with Elizabeth Partridge, Susan Campbell Bartoletti and Carolyn Yoder. A whole week talking about nonfiction writing -- while we ate, while we walked in the woods, while we shared a glass of wine, and I know some people didn't even sleep much. It was a great week! 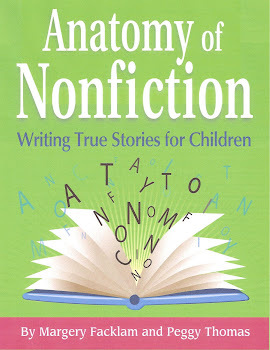 About writing nonfiction kids remember -- "If there is no emotion, there is no memory." Nancy Bo Flood (author of Sand to Stone). "Finding the heart, connecting, and making it meaningful is about as easy as getting on a bull and staying there." 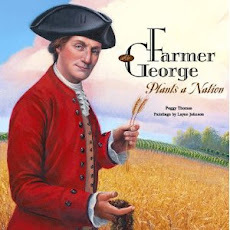 author of March to Freedom. For me the best part was feeling the enthusiasm that each writer brought to their projects -- giving voice to a Nagasaki survivor, revealing little-known facts about famous Americans, telling about forgotten tragedies and more. It made me eager to get home and get to work on my own projects.